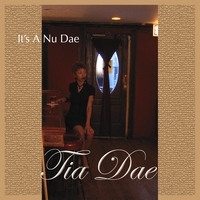 Tia Dae is a vivacious, energetic, Neo Soul artist/entertainer blessed with the gifts for the performing arts. I just received my CD and I love it! Listening to the samples here at CDBABY had me hooked and I'm SO happy about my purchase. I love her voice, the production...every song is a winner; nothing to skip. My favorites are I Remember, I'm Trying, and Natural High. Tia I wish you every good thing coming to you! I can't wait to hear more from you!